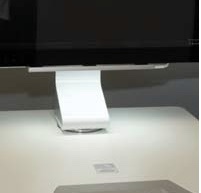 Micro USB Powered Task Light: TLKIT | Altus, Inc.
Light up your mobile IT cart worksurface. This Micro USB Powered Task Light for medical carts stays bright! Minimize disruption when working in dimly-lit areas. Space Saver. Compact and lightweight, attach to the cart where ever you’d like it. No bulky lighting interfering with the worksurface! Reduce Errors. Perfect for medication or treatment carts. When caregivers are making evening rounds, the Micro USB Powered Task Light partnered with one of Altus’ medical carts allows for bedside medication delivery and care with less chance of error. This brilliant, wide beam of light will stay a vivid white right on the surface of the hospital IT cart.